The Hotel Mhani Samsara is located at Gangtok. This is a best value hotel that provides comfortable and decent stay to the guests. The hotel has 11 well maintained rooms in their 2 storey building. All rooms are equipped with attached bathroom that accommodates guests on double and triple occupancy basis. 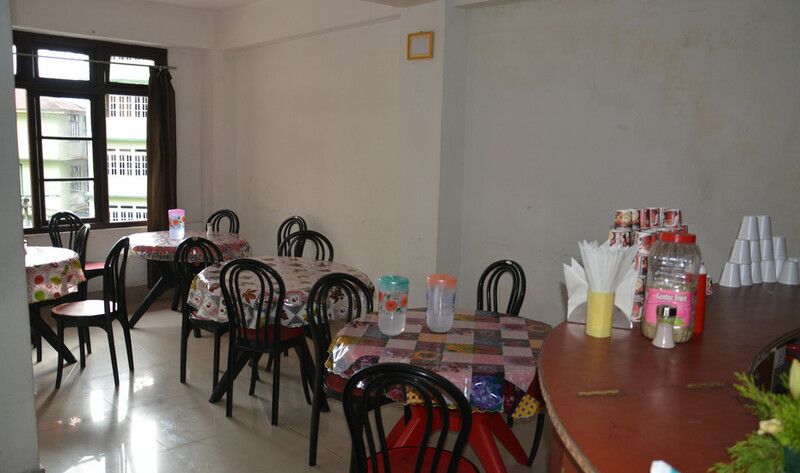 The hotel provides host of in room amenities such as Television & premium TV channels, make up mirror, wardrobe, bottled drinking water, desk, showers and hot & cold water facility. Breakfast Services, Laundry Facilities, Airport Transportation, Backup Generator, Doctor on Call, Security Guard, Currency Exchange, Travel Counter, Parking, Room Service. House Keeping, Attached Bathroom, DVD Player, Toothbrush/Razor on Request, Cable/Satellite TV, H/C Water, Iron/Ironing Board, Television Room, Wakeup Calls, Bottled Water in Room. User reviews for "Mhani Samsara Hotel Gangtok"